During February and March, The Jakarta Post reported there had been several Sumatran tiger attacks on villagers in Jambi and Riau, in which some people had been killed. As payback, several Sumatran tigers were trapped and killed by the community. This was not the first case of human-wildlife conflicts in Indonesia, and seems unlikely to be the last. Such conflicts – most often between humans and tigers or humans and elephants – have been recurring themes in news from Sumatra. A successful wildlife conservation drive could thus create a positive image of Indonesia in the eyes of the rest of the world. During his visit to Japan recently, Vice President Jusuf Kalla was cheered on by the roars of a domesticated Sumatran tiger. Of course, conservation is not an easy area to address. Tiger relocations, for example, are often rejected by communities living near forests. Wildlife conservation is really a complicated business in Indonesia. Sumatra, for example, has 11 national parks, three of which are World Heritage listed, but this is no guarantee that the problem is solved. Mega-fauna is complicated by the emergence community sentiments on forest conservation. “Why should animals be prioritized over humans?” is probably their question. And deadly attacks from wild beasts add to their antipathy. Given that many of our communities live near forest areas, and utilize forest products and land around forests, these conflicts must be managed well. For agriculture-dependent communities, access to land is a primary concern. A shortage of available land and an increasing population have led to the illegal occupation of forest areas. Some illegal forest occupants become illegal loggers to earn money. Consequently, the territory of mega-fauna is reduced. Besides illegal occupations by villagers, the expansion of oil palm plantations has created more difficult situations. The question then is what is the best for endangered species such as tigers in conservation schemes? Ex-situ conservation may be one alternative in saving endangered wildlife species. By keeping tigers in zoos for example, we can guarantee they will stay alive for years. However, we can not dismiss the importance of conserving wildlife in its natural habitat. Predatory animals, for instance, play an important role in maintaining the balance of nature. The losses of substantial elements in food chains results in unbalanced ecosystems. Furthermore, tiger attacks on human settlements are a reliable indication of a gap in the food web, which is a reflection of a change in the landscape. The tigers do not have enough food in their habitat. This also means that we have already lost many other animals which serve as prey. Since animals and plants are closely related, it follows that the vegetation has changed as well. The landscape alteration is not only affecting animals, but also humans. We have to be aware that this is a sign of the declining capacity of natural systems to support humans. As could be expected, this phenomenon occurs simultaneously with the increased risk of disasters, such as floods, because of ecosystem degradation. Therefore, the conservation of wildlife also means conserving the entire ecosystem that supports it. To conserve the tiger, it is not enough simply to prohibit the hunting of this animal, but we also must protect other animals which serve as tiger prey, as well as protecting vegetation. There are several things that need to be considered in tiger conservation efforts. First is the creation of a buffer zone around protected forest areas, including national parks. These buffer zones create barriers between human settlements and core habitats of tigers. Second is the restriction of illegal hunting of not only tigers but also of potential food sources of tigers, such as wild pigs, in protected forest areas. The availability of food supplies in forests will keep tigers in their habitat. Third is creating community based warning systems of possible tiger attacks. This system could involve cooperation between communities and forest rangers. Settlements where attacks are prominent should be prioritized. Educating people to be well prepared if tigers enter villages, for example, should be the main agenda. At the same time, trained people, who could be forest rangers or villagers, should be able to catch such tigers and return them to their habitat. Of course, the government must support such a program by providing instruments needed. Last but not the least, social and economical problems of communities that need direct access to forests or live around forests should be addressed. 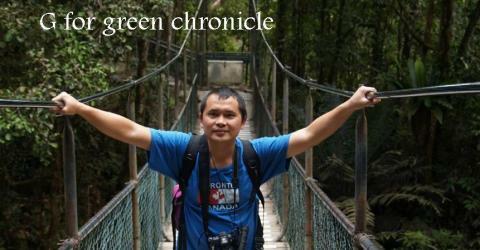 The writer is a lecturer at the Department of Forestry, University of Bengkulu. Unfortunately, a lot of ilegal hunting hapened is driven and back up by government apparatus.